Be prepared When Packing. What does this mean? Start packing early. Make a list with everything you’ll need and check items off as you go. *Packing ahead of time allows you to rest your body the days before the trip. Frantically packing the night before will only stress you out. *Pack for all kinds of temperatures, especially if you have hot and cold flashes like myself. Don’t forget to buy yourself some good shoes if you plan on doing a lot of walking. *If you’re driving, pack your car ahead of time. Ask someone to do heavy lifting for you. Have a cooler with water or gatorade and snacks to keep your sugar levels normal and your body hydrated. Have wet wipes, a roll of paper towels or tissues and a few plastic grocery bags on hand. They come in handy for messes, vomit, accidents, etc. Do not forget a first aid kid and a flashlight. Have a car phone charger. You do not want to have an emergency and no way to contact someone. *If you can, find someone to split the drive with. *If you’re traveling with medication that needs to be kept cold, make sure you have the proper tools necessary and find out how long the coolant devices (ice packs, etc) will last. You don’t want medication warming and expiring during the trip– another reason why having an extra prescription is important. *Make sure your car is road trip ready ahead of time. Check the oil, windshield fluid & wipers, etc. Have a spare tired and a set of jumper cables. Get AAA. If you’re driving by yourself and are physically incapable of changing a tire or dealing with car issues without difficulty, having AAA or a similar program through your car insurance company is a huge asset to have. Pack an ICE bag– In Case of Emergency bag. Add what you would want in a small bag for an overnight hospital stay or in case of an accident: a change of clothes, your HHIS sheet, travel size deodorant & tooth brush, wet wipes, a copy of your identification and insurance information, etc. Keep it in a separate small tote and let the people with you know about it. Health History Information Sheet– Your HHIS should list your contact information (address, phone, etc), your diagnoses, all medications with dosages, all physicians and their contact information, your emergency contact information (a parent, spouse, friend), your past medical history (surgeries, hospitalizations), a list of allergies, anything else relevant. Having it typed in both English and whatever language is spoken where you will be traveling is probably a good idea. *If you are flying or traveling with syringes, get a physician’s note documenting the prescription and reason for use. Check with your airline and airport security on how to travel with syringes without having them confiscated. Consider also how to pack medication that needs to be kept cold. Ask your doctor or medication services (drug company support, like with most biologic medications) for more information. *Make sure all medication is packed on your carry on bag or if you’re driving, in the front of your car where it is easily accessible. You don’t want your luggage to get lost and your medication along with it. *Make sure all prescriptions are in the correct bottles. Get a copy of all prescription orders. Extremely important to prove ownership and in case your drugs are confiscated. Consult your doctor. Vaccinations and Foreign Waters– Are you traveling overseas to a country requiring you to receive vaccines? Are you on medication that prohibits you from getting any live vaccinations? That’s probably important to find out and check with your doctor before you do.It’s also important to discuss dietary restrictions and treatment for common traveler’s illnesses with your doctor. Check for drug interactions. *Do your research. Find out what the health care system is like where you are going. *Research hospitals around your destination(s). Find out which places speak English and how they work with insurance. Print the names of the hospitals you would like to be taken to in case of emergency and add it to your HHIS sheet and give a copy of it to the people with you. *If not, consider getting traveler’s insurance for the duration of your trip. It is generally pretty affordable and valuable to have if you’re chronically ill. Do your research. Pre-Board the Plane. If you’re flying, pre-board. Having a doctor’s letter helps. Just to cover your bases, call up your airline and find out if there’s any documentation you need to pre-board. *Get a decent travel pillow and pair of headphones. Consider Benadryl or something to ease anxiety if need be. Luggage– bring luggage on wheelswhether you are flying, driving, taking a train– it doesn’t matter. It will save you time and effort. Lodging– Will you need any accommodations at your hotel(s)? Consider what you might need– extra pillows? A non-smoking room? Handicapped accessible bathroom? Call them up and arrange what you need ahead of time. *If you’re driving, stopping regularly at rest stops might make the trip longer, but may make it easier for your joints. Give yourself a stretch and avoid going stiff. *Keep track of your mileage and the miles between rest stops. Letting Others Know. Regardless of where you go or who you’re with, make sure you alert them to your conditions and what those conditions mean for you. Let them know what they should expect and need to do if something were to happen. *If you’re driving with someone and need to take a break, do so. Tell them you need them to drive, or you need to get up and walk around. Do not wait to feel the ill effects of pushing yourself too hard. Listen to Your Body. You know your body better than anyone else and you know the consequences of ignoring your body’s warning signs. Be cognizant of your restrictions and energy level. Rest when you need to, don’t push yourself past your limit. Let others know when you need to stop. If you’re in a museum or an area that requires a lot of walking, consider using a wheelchair to conserve energy. This will allow you to see and do more without collapsing or exacerbating your symptoms. Prioritize. Prioritize what you want to see/experience that way you have a plan of attack and do not overdo it. Be realistic and mindful of your body and energy level. 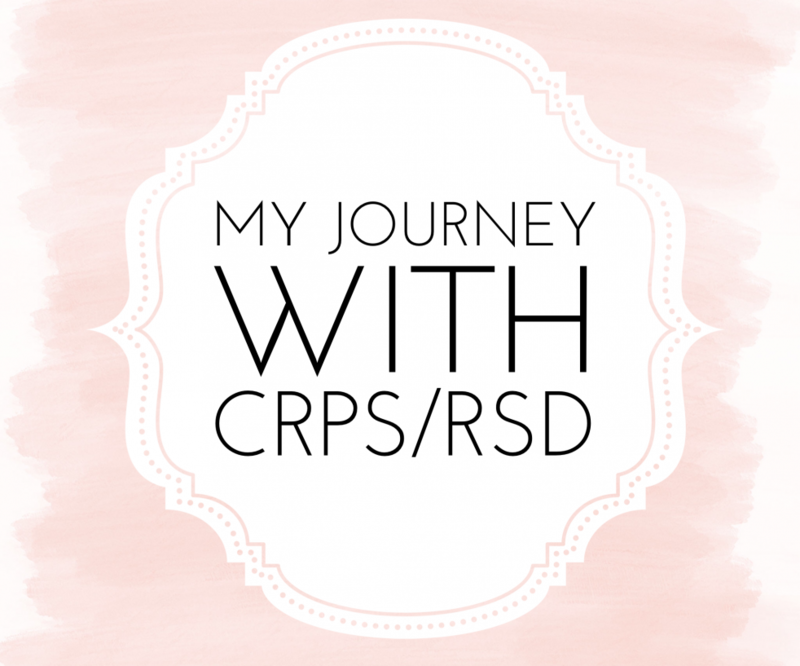 Next Post CRPS/RSD & HOSPITAL PROTOCOL Hospital MUST Follow!